AMR stands for Adaptive Multi-Rate Codec, and these are compressed audio format that is used by 3G smartphones for MMS voice recordings. AMR files can be played only on a limited number of players and devices like VLC, Audacity, AMR Player, QuickTime, and others. Thus owing to limited compatibility, need for converting AMR to a more popular format like MP3 arises. The conversion makes it possible to play the files on the majority of the players. Know more in detail about AMR to MP3 conversion tools in the following parts. Converting audio or video files using the right tool is important to retain the original file quality. Here we recommend iSkysoft Video Converter Ultimate as the ideal software for all types of conversion needs including AMR to MP3 conversion. Using the software multiple AMR files can be converted to MP3 as well as other popular audio formats. The software also supports choosing the quality of the output file as needed. With a simple interface, the program is easy to use for professionals as well as amateurs. Allows converting AMR to MP3 in high quality with super fast (90X faster) conversion speed. Supports all major audio and video formats for conversion (up to 150 formats). Device and program specific formats also supported to avoid compatibility issues. Retain original file quality or alter from given options. Batch processing for converting multiple files. Allows adding files from PC or directly from the device. Download online video from YouTube, Facebook, Twitter, DailyMotion, etc. It works on macOS 10.7 to 10.14 Mojave, and Windows 10/8/7/XP/Vista. Run iSkysoft software on your PC and the program will open in Convert tab by default. Click on +Add Files to add the local AMR files. To add directly from a device, connect the device and choose the option from the drop-down menu at +Add Files option. For batch conversion, add multiple files in this step. After all AMR files are added, open options at Convert all files to: tab. From the new pop-up window, select MP3 format from the list of Audio files. Also, choose the file quality. Clicking on Convert All button will start converting all added AMR files to desired MP3 format. The Converted tab shows the list of processed files on the interface. The location on the Output tab shows the PC destination of the converted file. A number of online tools for converting AMR to MP3 free format are available. These programs are free and simple to use from the browser window. Convertio is a very simple online AMR to MP3 Converter which supports conversion of audio files directly from your computer, dropbox, Google Drive or any Website URL. 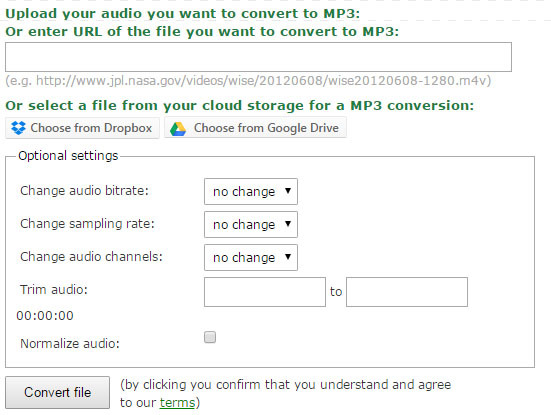 Users can also save the converted MP3 files to their Dropbox or Google Drive. It supports all the major audio file formats such as MP3, FLAC, WMA, AMR, WAV, OGG, M4A, AAC, APE, AIFF, CAF and DTS. You can convert up to 100 MB AMR files with ease. With this free online program, your AMR files can be converted to MP3 in decent quality. The program allows adding files from PC or through URL. Maximum of up to 200MB files can be added and uploaded to the software for conversion purpose. 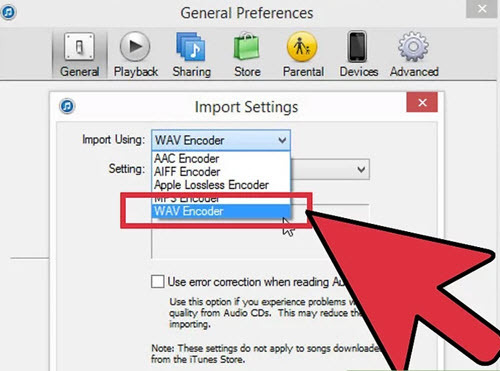 Online Converter provides an option where the audio quality of the output file can be chosen in kbit/s from the given options. Once converted, the MP3 file is available for download on your system. Supports Audio Quality Setting (Kbit/s). 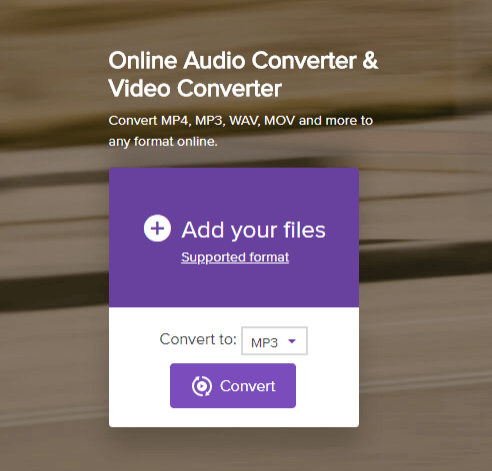 Online Convert is one of the popular Audio to MP3 converter, which can convert your AMR files into MP3 with high audio quality. 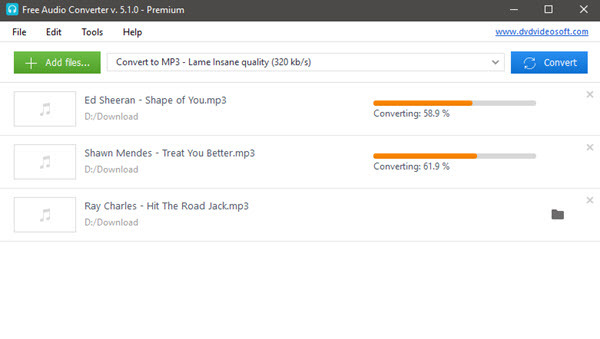 You just have to upload your music files or any audio files and download the converted MP3 files instantly. Moreover, it allows its user to upload any video, extract its audio track and convert it into MP3 easily. It supports other Audio file formats such as AAC, FLAC, WMA, AIFF, M4A, OPUS, MP3, WAV and OGG. Supports Optional Settings such as Audio Bitrate, Sampling Rate, Audio Channels and so on. Supports Dropbox or Google Drive. Supports only 50 Source Formats. Does not support multiple ARM file conversions. 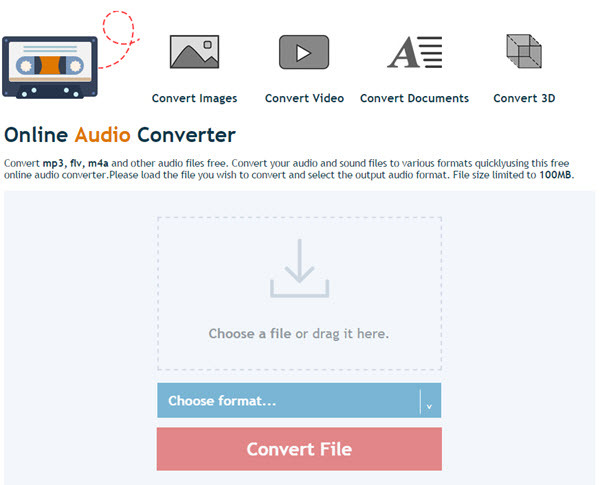 ConvertFiles helps you to convert any AMR audio file into MP3 within a short time. It is very simple and easy to use. You just have to choose the AMR file from your computer or download it from any URL. Insert Input format as Adaptive Multi-Rate Audio File and select output as MPEG-3 Audio file (MP3) to convert your target files. You can also choose to send a download link to your email. Option to Send a Copy of the Converted MP3 file. Supports 9 Audio Output file formats. Too much of Ads makes the conversion process a little difficult. Supports limited Audio File formats. Swift Online Audio Converter can easily convert ARM, MP3, FLV, FLAC, M4A and many other Audio file formats for free. 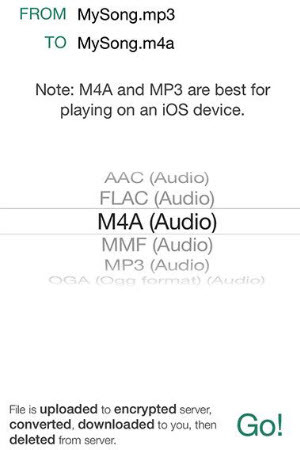 Simply load your target ARM files and select MP3 as the output audio file format. You can choose from wide range of output formats with different audio quality settings such as MP3 8 Kpbs, MP3 24 Kpbs, MP3 48 Kpbs, MP3 56 Kpbs and so on. Convert any Audio file for free. Supports 14 Audio Output formats. This is a widely used online tool that facilitates the conversion of AMR to MP3 online as well as other audio formats in a quick manner. Using the tool, you simply need to add the AMR file and choose MP3 as target format. The file will be uploaded and converted in no time and can be then downloaded from the interface itself. If needed files can also be sent to Dropbox for later use. Media.io allows adding a maximum of 2 files at a time for conversion. The program is free to use and need no registration. Developed by Ericsson, AMR is an audio file format that is compressed in nature and used for storing and recording speech. The format was mainly developed for cell phones voice recordings. Algebric Code Excited Linear Prediction (ACELP) algorithm is incorporated by AMR for optimizing compression of the human speech audio. Popular programs that are capable of opening AMR files include RealNetworks Real Player, Apple Quick Time Player, AMR tool, and Mobile AMR Converter. AMR-NB (Narrowband) and AMR-WB (Wideband) are the two formats in which an AMR file may be saved. The latter offers a better and wider range of frequency and thus better quality of sound. Can iPhone play AMR files? The iPhone models are no longer supported to play AMR files since iOS 4.3. So in case if you want to play these files on your iPhone, you have to either convert them to a compatible format or install a player on your iPhone that can play these files. Users can easily convert AMR to MP3 through online converters for free. However, it will not provide desired output as per your requirement. You will be compromising with the audio quality as well. That’s why, it is recommended to use a reliable AMR to MP3 Audio converter such as iSkysoft iMedia Deluxe. It is the best Audio converter which supports several Audio editing tools and other functions for your convenience.